It was a usual summer afternoon in the dense tropical forests of Jheeram Ghati (valley) of Darbha Division in Chhattisgarh; hot and humid with thick canopy of trees blocking the sunlight, making it appear already like dusk*. Kiran, along with his other comrades had been sitting on an ambush site for the last seven days. Just a day ago they had received information about some senior members of Indian National Congress, a prominent political party, who would be travelling through Darbha, on their way back from electioneering. The Maoists usually avoid targeting political leaders unless directed by top leadership, the Central Committee. But one name would drive Kiran and his comrades to take matters in their own hand and launch an attack. The name was Mahendra Karma, a former minister in Chhattisgarh Government and the founder of Salwa Judum. Salwa Judum was a pro state, tribal auxiliary defense militia, which few years ago, had become an important part of state’s COIN strategy and tactics. Salwa Judum meaning ‘Purification hunt’ was raised by Mahendra Karma in 2005 by drawing in local tribal youths and surrendered Maoists. Their arrival on the COIN scenario was seen by many as a game changer and the tide had started to turn against the Maoist. There were however large scale accusations of murders, rapes and extortion of local tribals by the Salwa Judum members[ii]. A view upheld by Supreme Court of India, when it banned the Salwa Judum in 2011. [iii] Though the ambush as a part of annual ‘Tactical Counter Offensive Campaign’ of Communist Party of India (Maoist) was originally planned to attack the security forces, the opportunity to target Mahendra Karma, was enough for Maoists to quickly recalibrate their strategy[iv]. On May 25th 2013, Kiran and his comrades attacked the convoy killing around 28 people including Mahendra Karma. To the surprise of Maoists there were other senior party leaders also in the convoy, including Nand Kumar Patel, former Home Minister of Chhattisgarh and Vidya Charan Shukla former union minister, all of whom were killed in the attack. The attack was perhaps the single most devastating strike that Maoists had carried out against political leaders, killing almost the entire top brass of Congress leadership in Chhattisgarh[v]. The attack was carried by skillful use of guerrilla tactic, first by initiating IED blasts to blow the front vehicles. Once the convoy was immobilized, the insurgents swooped down from the nearby hills firing at the convoy. None amongst the two dozen security personnel accompanying the convoy could react or was given a chance to react[vi]. New Delhi: While the massive 12-volume Chilcot inquiry report on the 2003 Anglo-American invasion of Iraq is being parsed and debated in Britain, the return of that controversial war to news headlines around the world has revived memories of India’s close brush with disaster. While India stayed out of the US-led ‘coalition of the willing’ in the months leading up to the invasion, pressure from Washington for Indian ‘boots on the ground’ started to ramp up once the occupation of Iraq began. For nearly two months, Lutyens’ Delhi was fully occupied with how to respond to Washington’s request – which would have meant deploying about 20,000 Indian soldiers in Iraq – with divergent opinions coming from influential voices both within and outside the government. The Italian banking crisis is not only Italy’s problem. WOBURN, Mass.–(BUSINESS WIRE)–Kaspersky Lab announced today its researchers investigated a threat actor that was undertaking aggressive cyber-espionage activity in the Asian region, targeting multiple diplomatic and government entities with a particular focus on China and its international affairs. This group, named Dropping Elephant (also known as “Chinastrats”), used their unsophisticated tools to attack some high profile Western targets as well. “When the Berlin Wall came down, it landed on Yugoslavia.” So said Haris Silajdzic, the one-time Bosnian member of the Presidency of Bosnia and Herzegovina, indicating how events in Europe tended to trigger violence in the Balkans. Perhaps less violent, but still pernicious, is the aftermath of Brexit, which threatens to disturb this still troubled region. The United Kingdom's departure, after all, will make the region’s own bid for EU membership more distant because it has exposed the dysfunction within Brussels and the EU’s need for reform. Nationalists in France, the Netherlands, and other EU countries are calling for their own exit referendums, which diminishes the will within the Balkans to engage in democratic changes, particularly if there is no EU to join in the end. And without a plausible route to Brussels, the Balkan governments’ drive toward political progress could slow. In the end, Brexit could embolden autocrats who are already appealing to the worst instincts of the region’s deeply divided, weak, and poor societies. As Brussels reels from the aftershocks of the British referendum, German Chancellor Angela Merkel, Europe’s de facto leader, must step up to the historic challenge of leading the continent through perhaps its darkest post-war hour. And there can be no better signal of Europe’s commitment to the European project than expanding it to the Balkans. Plans for enlargement have languished due to the high levels of corruption in the region. The political elites there employ nationalistic rhetoric and reopen the wounds of past wars to divert attention away from accusations of graft. They are in no rush to steer the country toward EU membership as that would mean boosting the rule of law, as well as the efficiency and independence of the judiciary, required by the EU accession rules. The successful induction of the first two Tejas light combat aircraft (LCA) into the Indian Air Force provides the appropriate backdrop to the recent announcement of the Narendra Modi government to allow 100 percent foreign direct investment (FDI) in the defence sector. This policy announcement is being heralded as the fillip that India’s moribund military indigenization effort needs and that very soon ‘Make in India’ will gain robust traction. However, this is an arduous path and India’s many institutional deficiencies and distinctive cultural traits may make this highly desirable goal more elusive than imagined. The 100 percent ceiling is not very different from what the previous UPA government had also announced but the many caveats and procedural constraints ensured that the initiative was not very successful by way of attracting foreign capital. The Tejas success which is to be commended is illustrative of the mindset that has crippled India’s indigenous defence industry for decades. The LCA program wherein India would design and build its own combat aircraft goes back to 1985 and the heady Rajiv Gandhi years. Yet, the reality is that it took 31 years for the first two aircraft to be inducted, albeit in a sub-optimal manner and it merits notice that both the engine and the primary radar are imported. They may have proposed the Geospatial Bill, but is the government drawing the line consistently in its dealings? There is a tendency to use these terms synonymously without understanding their geostrategic implications, which can be traced back to the evolution of the nation states. Political and military control are intrinsically linked to each other and began with the heartland and extended outwards to the frontier regions where population was sparse, terrain difficult, communications poor and little or no economic activity. Competitive conflict among nations began over control of the frontier regions. With development, better communications, economic opportunities and at times for sheer prestige, contiguous nations jostle to seize control of the frontier regions. This competitive conflict — varying in intensity from flag marking to war — leads to the creation of a border. India has made phenomenal economic progress in the last two decades, to the extent of being accepted by most as an emerging or rising power and also being described in informed circles as a potential superpower. However, despite its overwhelming claim for progressing into a higher status based on the strengths of its geography, population, economy, resources, military, diplomacy and national identity, India is yet to gain recognition universally as a leading global player, due to a number of clearly discernible reasons, both in the internal and external realm. In that context, there can be no doubt that India’s geostrategic central location dominating the maritime trade routes in the Indian Ocean, its large size, its two and a half trillion dollar worth “world’s fastest growing economy”, its democratic credentials, its youthful demographic profile, its achievements in space, cyber and nuclear technology, its 400 million strong work force, its 35 million diaspora, its globalised industries like software and pharmaceuticals, and its credible military capabilities provide it the justification to claim status as a leading global power. However, on the flip side, its abysmal 135th ranking in the UN’s Human Development Index and its high poverty levels put a serious question on its global ambitions. Further, its socio-economic and cultural fault lines have yet to stabilize fully. From India’s point of view, it can be argued that India has a very large, diverse and multi-cultural population spread over a very large area, many of whom have been fighting social discrimination for centuries and, to that extent, it will always be very difficult to raise the living standards of all its people within a short period of time. Moreover, many countries with high levels of human development and security do not figure anywhere close to India in the global power rankings. Nonetheless, there is a need to examine what India needs to do to be counted as a leading power of global standing by succeeding in all dimensions of comprehensive state power. Let us first take a look at India’s place in current global power equations and what India would need to do politically in terms of foreign policy priorities, especially through its genuine friends in high places. The passing away of Isak Chisi Swu, co founder of the National Socialist Council of Nagaland (NSCN), on 28 June has brought back into focus the issue of settlement of the ‘Naga Problem’. He was a signatory to the Framework Agreement signed with the Prime Minister last year generating hopes of a settlement. Along with Kashmir, the Naga imbroglio has the dubious distinction of being the longest running conflict in independent India. The Naga conflict is a colonial legacy. Along with Kashmir, the Naga imbroglio has the dubious distinction of being the longest running conflict in independent India. The Naga conflict is a colonial legacy. It has its roots in the Treaty of Yandebo of 1826 when the British demarcated the boundary between India and Burma and thereafter between the Nowgong district of Assam and the kingdom of Manipur. British commercial interests dictated further ingress into Assam and the consequent consolidation and administration. 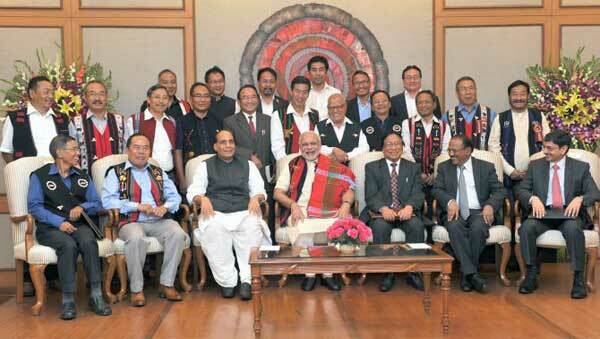 The Naga areas on the other hand held no commercial opportunities or security threats and were conveniently left alone. Consequently, mutually beneficial adjustments and compromises with varying methods like inner lines/excluded areas etc. were implemented. Independent India had to consolidate nationhood and not simply control/compromise to maintain governance. Conflict and friction was and is inevitable. The Naga issue is therefore fundamentally a process of consolidation and integration of the Indian national entity that emerged post-colonialism and not one of secession from an established nation. With the drawdown of numbers of operational squadrons likely to continue till at least 2025, it is imperative that those in the cockpits of a force with reduced numbers of platforms have the best quality of training on the best equipment that the service can afford. The IAF’s reputation of being in the forefront of military flying training in this part of the world is history now. Five years ago, the debacle of being forced to approach outside entities, possibly foreign agencies, to impart basic flying training for want of a basic trainer aircraft in the inventory, was narrowly averted. The phasing out of the Kiran is not as unexpected as was that of the premature grounding of the HPT 32. As of now, there is no replacement in sight. “Their drills were bloodless battles and their battles, bloody drills.” – an aphorism about the Roman Legions attributed to Titus Flavius Josephus, first century AD, Romano-Jewish historian and scholar. Training to acquire proficiency and thereafter, to maintain it, is a major differentiator between a mob and a military force. This has been true since ancient times. Modern weapons have made the aspect of training more important as the complexity of weaponry has increased at a rapid pace with advances in technology. Among the branches of the military, aviation demands the maximum amount of and certainly the most expensive training both to attain the required motor and situational awareness skills and to maintain as well as enhance these skills thereafter. Even as unmanned aircraft enter the arena, the skill levels required to field them effectively, demand high levels of training. On July 8, leaders from NATO member states will descend upon Warsaw for one of the alliance’s most anticipated summit meetings in the post-Cold War era. After months of planning, negotiation, and speculation, the alliance is set to formalize plans to bolster its force posture in Eastern Europe in response to Russian provocation. By focusing on those specific initiatives, however, the Warsaw summit will in all likelihood constitute a wasted opportunity for leaders to conduct a fundamental reassessment of NATO’s mission, as well as roles and responsibilities of the allies. Russia’s intervention in Ukraine has dramatically demonstrated that Russia still poses a significant threat to NATO—particularly the newest members of the alliance in Eastern Europe. In light of that resurgent threat, it is imperative to reconsider whether NATO can really afford to devote scarce resources toward preparing for and conducting “out of area” operations rather than focusing on territorial defense. That is the fundamental question that allied leaders should discuss in Warsaw. In the immediate aftermath of the Cold War, NATO experienced a minor identity crisis. Since the Western military alliance had coalesced primarily to deter and defend against the perceived threat posed by the Red Army, NATO’s raison d’être had essentially collapsed along with the Soviet Union. But despite predictions that “NATO [was] a disappearing thing,” allied political leaders gave little serious consideration to folding up NATO’s tent. Because the alliance had accumulated an array of general institutional assets (an integrated military command, a well-developed range of committees and consultation procedures, a robust logistics infrastructure, etc. ), which could be adapted to address new security challenges, allied capitals perceived substantial value in its preservation. Michèle Flournoy is chief executive and founder of the Center for a New American Security. Ilan Goldenberg directs the center’s Middle East security program. There are two theaters in the conflict with the Islamic State in Iraq and Syria, and they are not defined by international borders. The first is “ISIS-stan” in western Iraq and eastern Syria. Here the U.S.-led coalition is making progress and has rolled back significant portions of the territoryheld by the terrorist group. But the gains have come from predominantly Kurdish and Shiite forces, and there are limits to how far these groups can advance into Sunni heartland areas and be accepted by local populations. Rolling back the Islamic State is not enough — to sustain these gains, we must focus on the security forces and governance mechanisms that will replace them. The second theater lies farther west, where Syria is embroiled in a horrendous civil war. The United States has assumed that this problem is not as important and has heretofore avoided involvement except for pursuing diplomatic negotiations. That’s a mistake. In Syria and Iraq, the challenge of countering the Islamic State is bound up in the broader civil wars that have created governance and security vacuums and allowed the group to thrive. These vacuums are the disease; the Islamic State is the most serious of many problematic symptoms. We propose a strategy that applies a consistent, long-term approach to Iraq and Syria, based on four interlocking efforts. When President Obama issued yet another statement on Afghanistan on July 6th, and once again delayed his plans to cut the number of U.S. troops in Afghanistan, he took actions that had already become almost inevitable. Even though he had announced his plan to cut U.S. troop levels to 5,500 by the end of 2016 less than a month earlier, a level of only 5,500 troops risked critically weakening Afghan forces and possibly losing the war. Keeping the level at 8,400, however, was at best a half measure in meeting Afghanistan’s real needs and probably not even that. Tensions are escalating in the South China Sea. On July 12 a UN tribunal will deliver a long-awaited verdict on Beijing’s sweeping claims to the vital waterway. Each year more than $5 trillion in trade passes through the sea, which contains rich fishing grounds and large, mostly untapped reserves of oil and natural gas. At the center of China’s claims is a curious, dashed-line map drawn up in the 1940s. Knowing its story is essential to understanding how China and its neighbors will behave in the years to come. Police ambulances on Saturday carried away the bodies of victims of the attack at a bakery in Dhaka, Bangladesh. The Islamic State has taken responsibility for the strike, which left at least 20 dead. 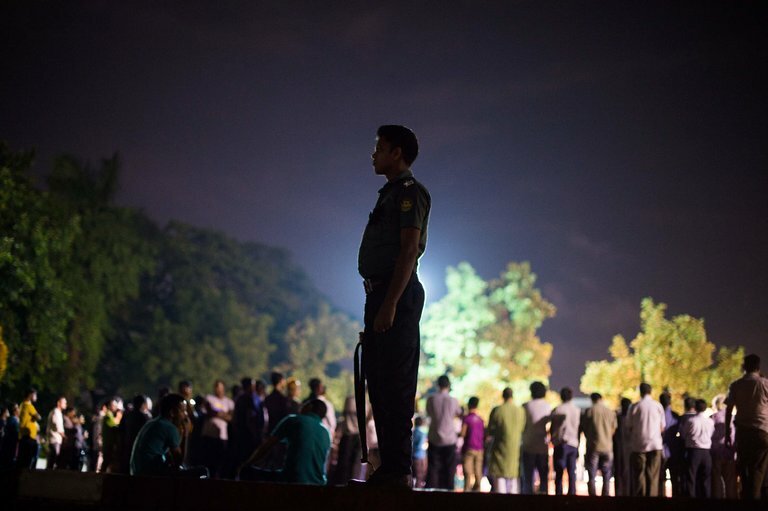 The first to be killed was a jogger, gunned down last September during his daily run in the leafy diplomatic quarter of Bangladesh’s capital, Dhaka. He was identified as a 50-year-old Italian aid worker, and the police say the men who murdered him had been given instructions to kill a white foreigner at random. In October, a Japanese man was killed. In November, gunmen riding a motorcycle pulled alongside a Catholic priest in northern Bangladesh and opened fire, wounding him. For the Islamic State terrorist group, which broadly advised operatives it sent to Europe to kill “anyone and everyone,” the group’s tactics in Bangladesh have seemed more controlled. In the past nine months, it has claimed 19 attacks in the South Asian country, nearly all of them targeted assassinations singling out religious minorities and foreigners. They included hacking to death a Hindu man, stabbing to death a Shiite preacher, murdering a Muslim villager who had been accused of converting to Christianity and sending suicide bombers into Shiite mosques. For years, the Islamic State, also known as ISIS and ISIL, has pursued a campaign of wholesale slaughter in Syria and Iraq. And in the attacks the group has directed or indirectly inspired in Western countries — including the coordinated killings in Paris and Brussels and the mass shooting inside an Orlando, Fla., nightclub — the assailants killed at random. WASHINGTON — In just the past few days, the Islamic State’s evolving brand of terrorism has revealed its deadly, shifting faces. In Istanbul last week, Turkish officials say, militants guided by the Islamic State conducted a coordinated suicide attack on the city’s main airport. InBangladesh on Friday, a local extremist group that has pledged loyalty to the Islamic State butchered diners in a restaurant. And in Baghdad on Sunday, the Islamic State claimed responsibility for a bombing that killed more than 140 people. The three deadly attacks are already being viewed by intelligence and law enforcement officials as proof that the Islamic State, the only terrorist group to create a state with borders, is becoming a larger, more sophisticated version of its stateless chief rival, Al Qaeda, as it loses territory under traditional military attack in Iraq and Syria. “Attacks won’t fill any particular mold — some will be centrally planned, some will have some connection to ISIS, and some will be local option entirely,” said Andrew M. Liepman, a former deputy director at the National Counterterrorism Center who is now a senior policy analyst at the RAND Corporation. 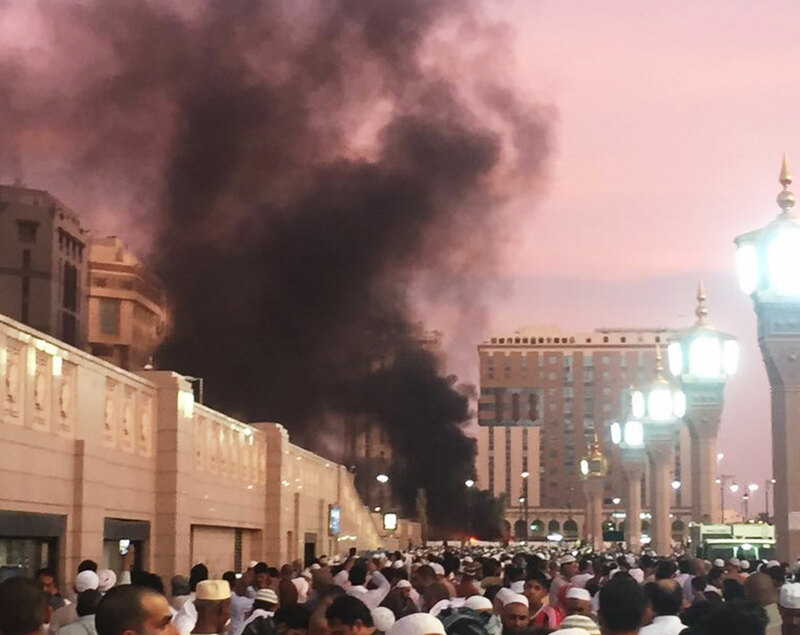 Just when Muslims around the world thought that ISIS was in retreat and that it was safe to celebrate the end of Ramadan, the group has struck back with a devastating series of bombings in four Muslim countries. Claiming more than three hundred lives, most of them Muslim, during the final days of the month-long fast, the attacks in Turkey, Bangladesh, Iraq, and Saudi Arabia have created pandemonium. But they also raise new questions about the ability of the jihadist group to execute lethal terrorist attacks, even as its power appears to be waning in Iraq and Syria. Since the early months of this year, ISIS has suffered a series of defeats, from the Assad regime’s recapture of Palmyra at the end of March to the Kurdish PYD’s reconquest of the Manbij area of northern Syria in early June and Iraqi forces’ retaking of Fallujah on June 22. ISIS has also lost significant financial assets and population under its control. In a speech last month, Abu Muhammad al-Adnani, an ISIS spokesman, urged sympathizers to mark the month of Ramadan as “a month of calamity,” but the world’s security agencies expected random, “lone wolf” attacks. Instead, the recent bombings have been done by groups of attackers who seem to have had a high degree of organization. Many of the bombers themselves appeared to have been organized and trained by ISIS or directly in touch with ISIS headquarters in the Syrian city of Raqqa. Editors’ Note: In Southeast Asia, democratization went hand in hand with Islamization, writes Shadi Hamid. So where many assume that democracy can’t exist with Islamism, it is more likely the opposite. The Aspen Instituteoriginally published this post. If Islam is exceptional in its relationship to politics ... then what exactly does that mean in practice? On the one hand, too many still hold on to the mistaken idea that the West was unprepared for the consequences of regime termination in Afghanistan as well as Iraq. And on the other, many think we're beginning to get it right, destroying IS by intense remote warfare using airstrikes and armed drones and driving it from territory it controls. The West did not "lose the peace" in Iraq because it wasn't prepared. Did the Saudi Oil Coup Manage to Sideline U.S. Shale? Having somewhat belatedly woken up to the realization that to do otherwise might very well sound the death knell for its own faltering economy, Saudi Arabia has finally signaled an end to its aggressive two-year oil price war. Back in 2014, the kingdom decided to hike supply in a bid to drive out its high-price rivals, abandoning its traditional balancing role in crude oil markets. The move, which saw the price of oil fall from over $100 a barrel to around $26, was primarily driven by fears that U.S. shale drilling operations posed a risk of grabbing considerable market share from OPEC producing nations. As recently as February, Saudi’s then petroleum minister Ali al-Naimi told American frackers they would be crushed by the plummeting price of oil, which his country was continuing to pressure downwards by churning out a large oversupply. In April, the Kingdom even boasted that it could raise output by more than a million barrels a day almost overnight if there was demand for it. The Deputy Crown Prince argued that the Kingdom could even hit 20 million barrels a day (bpb), up from current levels of 10.2 million, if it chose to invest in its oil industry. A hacktivist group, Ghost Squad Hackers, has made public the identities of some hackers affiliated to ISIS’ cyber army. In collaboration with other hackers’ groups like Anonymous, they previously took down the Twitter and Facebook accounts of ISIS sympathisers as part of Op ISIS. The group’s founder has vowed to target every hacker inside of ISIS, especially the “United Cyber Caliphate’ which is a conjunction of hackers working for ISIS. Before this, GSH had gone against a Jordan-based bank in May 2016, as it laundered money for ISIS (Part of Operation Icarus against global banking system; GSH are anarchists ideologically). They were also part of Op ISIS against its sympathisers on Twitter and Facebook. In collaboration with other hackers’ groups like Anonymous, they took down the Twitter and Facebook accounts of ISIS sympathisers as part of the operation. The method used to expose ISIS hackers is called doxing, which means, finding out the true identity of someone online. That can be done through various techniques like finding links between anything revealed by their anonymous identity that could lead to their real identity being found out, like hacking into their devices or accounts. In the aftermath of the accident at the Fukushima nuclear power plant, how were various technologies used to (1) ascertain the extent of radioactive contamination, (2) prevent the spread of radioactivity that had already dispersed into the wider environment, (3) decontaminate areas or items, and (4) store radioactive material for extended periods, all while limiting human exposure to radiation? Following the devastating Tohoku earthquake and tsunami that afflicted Japan in March 2011, some of the reactors of the Fukushima Dai-Ichi nuclear power plant began to release radioactive material into the environment. This study draws lessons from this experience regarding technological countermeasures to radioactive contamination to improve responses to future radiological or nuclear contingencies. Specifically, it focuses on how technologies were used to measure contamination over space and time, to limit the dispersal of radioactive material in the environment, to decontaminate areas or items, and to store radioactive materials for extended periods. The authors gathered data by conducting extensive literature reviews and dozens of interviews with experts in both Japan and the United States. The report analyzes how technologies were used successfully and identifies capability gaps that could be redressed through novel technologies or improved use of existing technologies. Also included is an abbreviated bibliography for further reading. Rapidly deployable sensors capable of surveying large areas quickly are critical for both initial characterization and on-going monitoring of a radioactive dispersal event. In addition, more finely grained local sensors suitable to support the establishment and maintenance of safe corridors and staging areas along with hardened unmanned sensor-carrying systems would be needed. INVESTORS around the world are extraordinarily nervous. Yields on ten-year Treasuries fell to their lowest-ever level this week; buyers of 50-year Swiss government bonds are prepared to accept a negative yield. Some of the disquiet stems from Britain’s decision to hurl itself into the unknown. The pound, which hit a 31-year low against the dollar on July 6th, has yet to find a floor; several British commercial-property funds have suspended redemptions as the value of their assets tumbles. But the Brexit vote does not explain all the current unease. 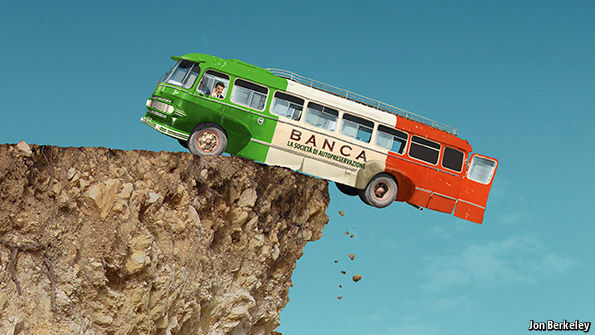 Another, potentially more dangerous, financial menace looms on the other side of the Channel—as Italy’s wobbly lenders teeter on the brink of a banking crisis. Italy is Europe’s fourth-biggest economy and one of its weakest. Public debt stands at 135% of GDP; the adult employment rate is lower than in any EU country bar Greece. The economy has been moribund for years, suffocated by over-regulation and feeble productivity. Amid stagnation and deflation, Italy’s banks are in deep trouble, burdened by some €360 billion ($400 billion) of souring loans, the equivalent of a fifth of the country’s GDP. Collectively they have provisioned for only 45% of that amount. At best, Italy’s weak banks will throttle the country’s growth; at worst, some will go bust. Not surprisingly, investors have fled. Shares in Italy’s biggest banks have fallen by as much as half since April, a sell-off that has intensified since the Brexit vote. The biggest immediate worry is the solvency of Monte dei Paschi di Siena, the world’s oldest bank. Several attempts to clean it up have failed: it is now worth just a tenth of its book value, and could well come up short in a stress test by the European Central Bank later this month (see article). LONDON – As a passionate European, the outcome of Britain’s referendum on European Union membership horrified me. It will almost certainly result in our exit from the EU. But I have feared for many years that large-scale immigration to the UK would produce a harmful populist response. Global elites must now learn and act upon the crucial lesson of “Brexit.” Contrary to glib assumptions, globalization of capital, trade, and migration flows is not “good for everyone.” If we do not address its adverse effects, Brexit will not be the last – or the worst – consequence. Net immigration to Britain was close to zero in the early 1990s. It began to increase later that decade, and grew rapidly after eight formerly communist countries joined the EU in 2004, when Britain – unlike, for instance, France and Germany – waived its right to impose a seven-year delay before allowing free movement of people from the new member states. Last year, net immigration was 333,000, and the total population grew by around 500,000. Credible forecasts suggest that the UK’s population, now 64 million, could be above 80 million by mid-century. Migration undoubtedly brings many benefits – London is a wonderful city partly because it is a cosmopolitan melting pot of diverse cultures. But, as the House of Lords Economic Affairs Committee, of which I was then a member, argued as early as 2008, large-scale immigration has brought significant disadvantages for many people.